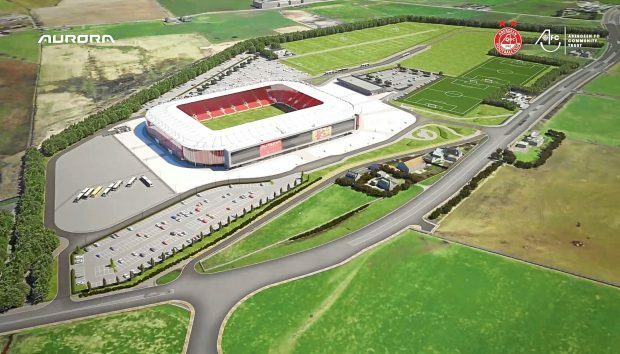 The campaign group which lodged a legal challenge against Aberdeen FC’s £50m Kingsford stadium plans has said it will not challenge its approval. The No Kingsford Stadium (NKS) group raised £66,000 for a judicial review at the Court of Session, claiming the planning process had not been carried out correctly and calling for the project to be scrapped. NKS had 21 days from that decision to decide if it was going to lodge an appeal, but confirmed this morning it will not be. She added: “We appreciate this is perhaps a ‘difficult pill to swallow’. “We don’t want the stadium at all, but the facts are that the stadium is being allowed to progress, therefore we believe the best avenue for us to take now is to ensure that the conditions are rigorously enforced by Aberdeen City Council. AFC chairman Stewart Milne said: “This is very welcome news which will come as a relief to our fans and the wider public who have supported the plans for Kingsford.